WEGO Health Community. Our team of expert researchers and community members has awarded your site, "Anger Class Online" as a Recommended Resource. This signifies our recognition that "Anger Class Online" as one of the best resources for information on mental health on the web. 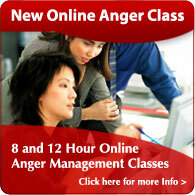 We're currently featuring it on our Anger Management Tool Topic Page. WEGO Health's mission is to identify, rank, and organize the most helpful health and wellness content on the Web, and make it easy to access by everyone. View our WEGO listing here. Thank you. 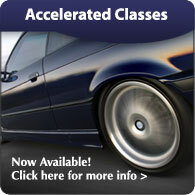 Your course is very well paced and enlightening. I am enjoying learning and having more tools to use and suggest in my workplace as a supervisor in a high stress environment. “You might get this a lot...your courses are tremendous. Very useful and manageable. I enjoyed the parenting and anger management classes. I used them to my advantage as my work schedule constantly changes. This would have been overwhelming to do each week with work, school and my daughter's schedule. Thank you for the wisdom contained in your anger management course. I am a 73 year old former Deputy Probation Officer for the Los Angeles County. In my opinion, a very significant reduction in crime and other human suffering could be gained by a wider use of your material in the corrections systems throughout the U.S. I only regret not having the benefit of this course before my foolish mistake that led to the suffering of me and my family. 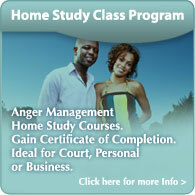 “This was the third time I had to take an anger management class due to a court related reason. I come from a very mentally violent family, and took it one more extreme of being physical. The first two classes where a joke. Group sessions with 15 to 20 angry people sitting together for a hour a week with one counselor trying to defend some of the things I learned in your class. I am sure I and a lot of others thought it was just a way for the court to punish us financially for our indiscretions, No one learned anything. “I thought overall the course was very helpful for me. I am dealing with a divorce and alot of what was being conveyed in the course related to myself and how I might interpret or even react to certain situations. I felt the quiz questions were helpful tools keeping the information fresh. The final exam I thought might be a little short, there is plenty of information in this course that I felt wasn't covered in the exam. I was very skeptical since the internet is often misleading, but was surprised by the excellent quality of the anger management class and the related advice. It was so useful that I am going to have everyone in my household read the materials and do the course. “I tried another online anger management program and it turned out not to really be online. I had to download a PDF, print it out and then go to some message board. I was really complicated and not easy to use. “I wouldn't change a thing about it. I actually thought that it was a great learning experience. Very convenient for my busy schedule. At first, I was just looking at this as one of the things that I had to do. It then became something that I wanted and enjoyed to do. I learned a lot.